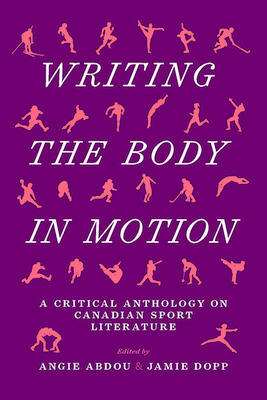 Writing the Body in Motion, edited by BC writers and literary scholars Angie Abdou and Jamie Dopp, is an introduction and literary companion for readers wishing to delve into Canadian sports literature. The book is an asset to those who “want strong academic essays to assign to their students, as examples of the critical analysis of sport literature” (3). 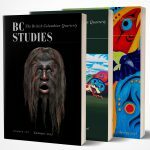 The editors have curated eleven critical essays that deal with original stories about diverse sports such as mountaineering, wrestling, and swimming, thereby attending to the scope and breadth of sport literature in Canada. These essays are rich and varied, from Cory Willard’s ecocritical approach to alpinism in Thomas Wharton’s Icefields, to Paul Martin’s examination of the enigmatic, flawed, and tragic sports hero Terry Sawchuk, an NHL goalie depicted in Russell Maggs’s Night Work: The Sawchuck Poems. Sports literature offers narratives that endure beyond the rink, mat, or pool; most selections discussed in the book examine of the condition of being human. They are relevant literature, exploring themes that enable readers to “read themselves” into the literature, whether or not they are athletes. For example, Cory Willard takes a close look at how Thomas Wharton’s Icefields“explores the commodification of the natural world as he charts Byrne’s journey into the embodied experience of place” (71), something that will resonate with readers observing a similar commodification of wilderness in regions of British Columbia. Willard’s analysis serves as an accompaniment to Icefields, aiding readers in unravelling the complexity of Wharton’s award-winning book. Sport can be a powerful metaphorical tool and the genre of sport literature has potential to explore the human condition. It can serve as both a microcosm and a pressure-cooker, allowing for a complex and honest exposition of greater literary themes – as the essays in the book explore. For example, Gyllian Phillips’ essay on Angie Abdou’s novelThe Bone Cageexplores the author’s treatment of the hero myth, a common trope in sports fiction. Phillips looks at the novel’s alteration of the triumphant hero-athlete figure seen in the story of two Olympians pushed by training to the brink of bodily deterioration as Abdou subverts the hero theme we see in so many sports stories. The authors anthologize secondary sources for use in post-secondary classrooms and share works that stand as exemplary critical analysis of sport literature. Likewise, they have also produced a collection of essays that is relevant to the lives of readers who can see themselves anew through the challenges of sport and movement. The book contributes to the genre of sports literature, as it is sure to engage those in an academic setting and other readers alike. The book guides students and interested readers towards a deeper understanding of essential works in Canadian sport literature by helping to unlock complexities in these texts. Many readers will find themselves making a beeline for the booksellers to purchase gems in the Canadian sport literature canon they have discovered by reading this fascinating anthology. Edmonton: Athabasca University Press, 2018. 248pp. $34.99 paper.